$2.89 to $84.99 & FREE Shipping on orders over $59 $35. A light and golden malt with floral aromas of clover and hay and a mild scone-like sweetness. Inspired by classic Continental malts, Feldblume is a versatile malt that can be used as a foundation for a wide variety of beer styles.It’s balanced modification and unique kilning cycle make for a full bodied malt with bright, delicate color. It is particularly well suited for lagers, saisons, farmhouse and wild ales, as well as new school pale ales and IPAs. 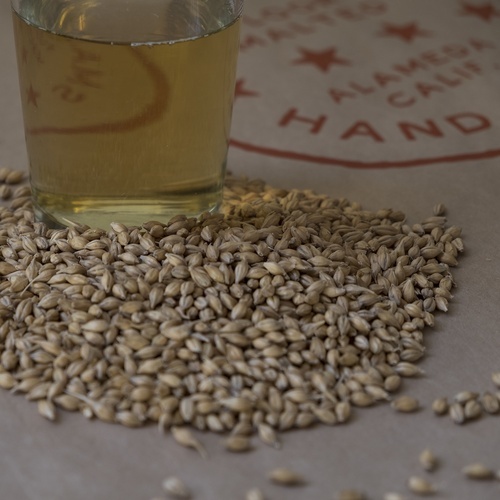 All of Admiral’s malts are produced from grain grown sustainably by California family farms. The UC Davis Experimental barley used in Feldblume was grown using no-till practices by Bob Schaupp in his fields outside of Woodland, CA. Fine Extract - 82.0% D.B.